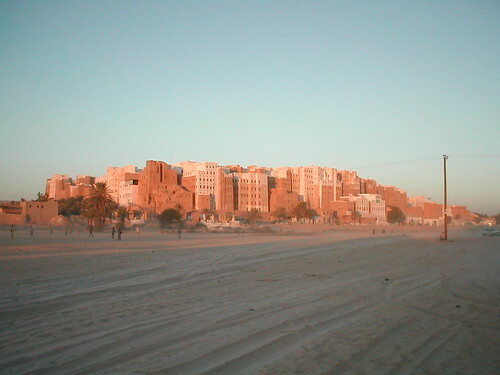 Shibam a small town in Yemen with about 500 tall buildings is one of the earliest and finest examples of urban high rise buildings. Its remarkable skyscrapers, built around 16th century with sun dried mud-bricks, have given the city the nickname of "the oldest skyscraper-city in the world". The city is also often described as "The Manhattan of the Desert" and has towers of varying height from 5 to 16stories (about 40 metres). These buildings are in UNESCO's World Heritage List. kite_surfer for placemarking the town in Google Earth. Thanks for noticing, CJ. Some places in the world are really amazing aren't they?